I'm still waiting for that new vampire book series that will leave me as obsessed about these mythical creatures as the first three seasons of The Vampire Diaries or the first time I read Twilight did. Then I saw Risen on NetGalley and it used those two titles as comps: "Fans of Vampire Diaries and Twilight will be thirsting for this latest vampire addiction…"
Of course that led me to searching Youtube for Stelena videos. That led to major hangover after. 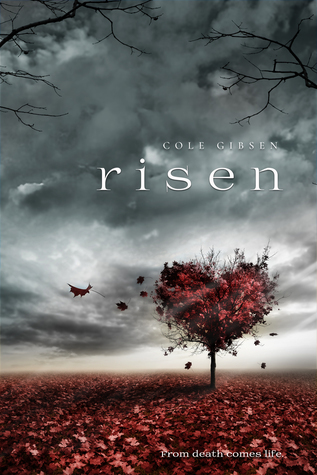 Anyway, Risen delivered on some of its promises, but it unfortunately didn't create a vampire addiction. The main character didn't have an interesting enough personality to hold my attention, the romance was too insta-lovey, and Sebastian wasn't the badass vamp guy who made me fall madly in love with him. I also had problems with the dialogue and how stilted it felt at times. Even though Risen didn't turn out to be as exciting as I was hoping, I'm someone who has been waiting for YA paranormal to come back for a long time and I'm not ready to give up. So bring on the next vamp book!